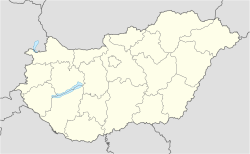 Zsurk is a village in Szabolcs-Szatmár-Bereg county, in the Northern Great Plain region of eastern Hungary. It covers an area of 15.39 km2 (6 sq mi) and had a population of 787 people (2001). ^ Zsurk at the Hungarian Central Statistical Office (Hungarian). This page was last edited on 8 April 2019, at 13:49 (UTC).